If you have any questions about the GOLDEN COMPASS information page below please contact us. Picchiotti (Perini Navi Group) launched motor yacht GOLDEN COMPASS in 1982. The yacht was built in Italy. GOLDEN COMPASS had yacht design and naval architecture finished by Arthur Defever and Arthur Defever. This superyacht GOLDEN COMPASS is able to sleep overnight a total of approximately 12 aboard together with around 10 professional crew. Launched to celebration in 1982 the comparatively traditional interior design exhibits the traditional approach emanating from the boards of Valerian Rybar. Arthur Defever was the naval architect involved in the formal superyacht design work for GOLDEN COMPASS. Also the company Arthur Defever successfully worked on this project. Interior designer Valerian Rybar was charged with the creative interior styling. Created by Picchiotti (Perini Navi Group) the yacht was constructed in the recognised yachting country Italy. She was officially launched in Viareggio in 1982 before being delivered to the owner. The main hull was crafted from steel. The motor yacht superstructure component is fabricated predominantly from aluminium. 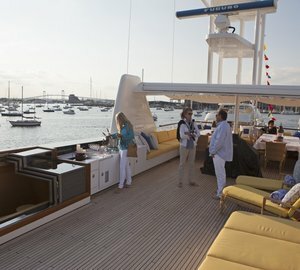 The length of the luxury yacht on deck is 44.1 (144.7 ft). With a beam of 8.38 metres or 27.5 feet GOLDEN COMPASS has fairly large size. She has a shallow draught of 2.71m (8.9ft). She had refit maintenance and changes undertaken in 1997. The D346 engine powering the yacht is built by CATERPILLAR. GOLDEN COMPASS is propelled by twin screw propellers. The main engine of the yacht gives 850 horse power (or 625 kilowatts). She is fitted with 2 engines. The total output for the yacht is 1700 HP or 1251 KW. As far as stabalisers are concerned she was built with Vosper. With cabins for a maximum of 12 yacht guests overnighting, the GOLDEN COMPASS accommodates them comfortably. The boat utilises around 10 capable crew members to operate. 46.3 metres / 151.9 feet. The propulsion comes from two 850 Horse Power / 625 kW Caterpillar. The Model type is D346 diesel. Around October 2009 GOLDEN COMPASS visited Fort Lauderdale, in United States. This motor yacht also cruised the area including Broward County during Sept 2009. This motor yacht has a teak deck. 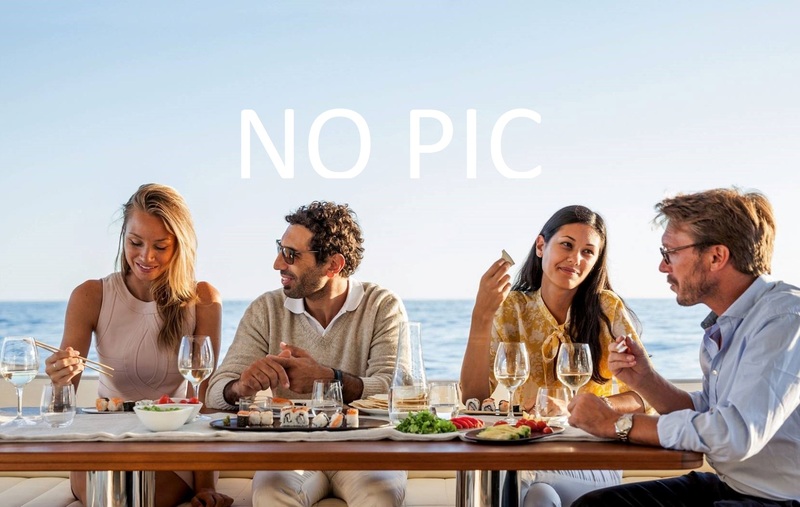 The luxury yacht GOLDEN COMPASS displayed on this page is merely informational and she is not necessarily available for yacht charter or for sale, nor is she represented or marketed in anyway by CharterWorld. This web page and the superyacht information contained herein is not contractual. All yacht specifications and informations are displayed in good faith but CharterWorld does not warrant or assume any legal liability or responsibility for the current accuracy, completeness, validity, or usefulness of any superyacht information and/or images displayed. All boat information is subject to change without prior notice and may not be current.